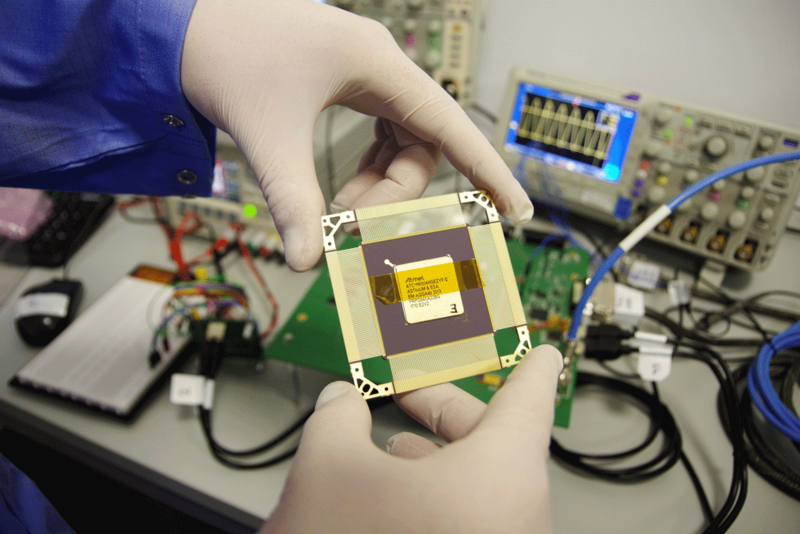 AGGA-4 is the biggest space-grade radiation tolerant ASIC that fulfils the role of GNSS receiver, capable of processing GPS, Galileo, Glonass, and Compass-Beidou signals. ASIC (Application Specific Integrated Circuit) is a type of advanced microchip designed for a special application. ASICs can be less power consuming, more reliable and faster than the general-purpose integrated circuits with corresponding functionality. Role of Astri Polska in the project: The role of Astri Polska will be to fully characterize the heavy ion and proton sensitivity of AGGA-4 ASIC. The output of this activity will provide crucial input to designers and GNSS system engineers in order to allow the implementation of proper radiation effects mitigation at design and system level, if needed. The second objectives is to finalize the qualification package for the commercialization of the product. AGGA-4 project is financed by European Space Agency. The project is funded by European Space Agency . The view expressed herein is an Astri Polska promotional information and can in no way be taken to reflect the official opinion of the European Space Agency.